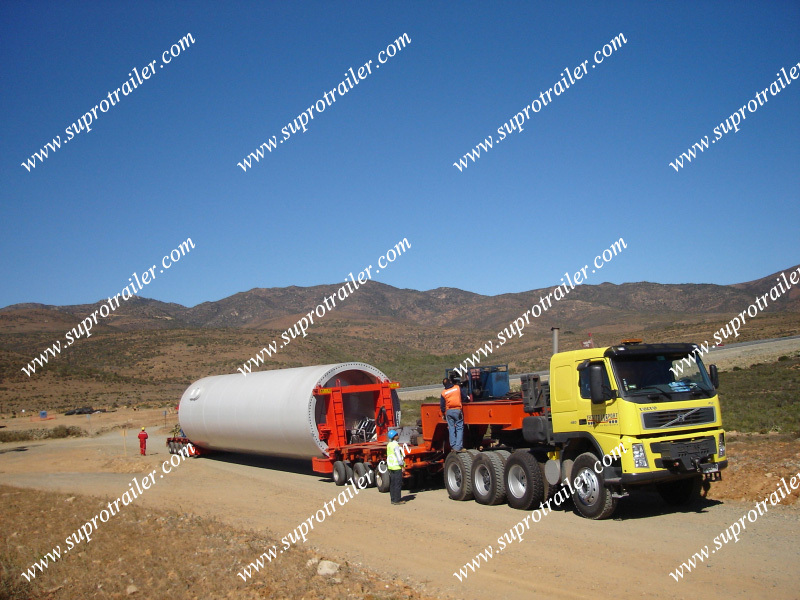 For the windmill equipment transport. 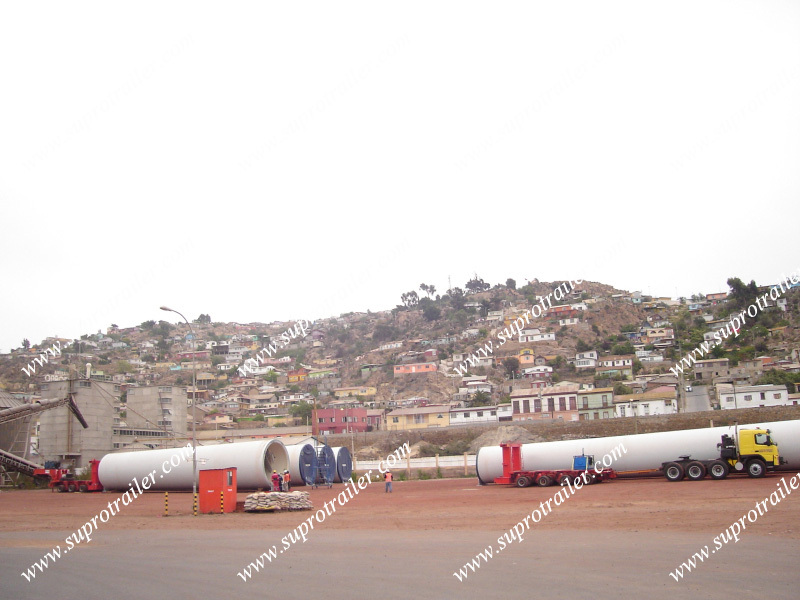 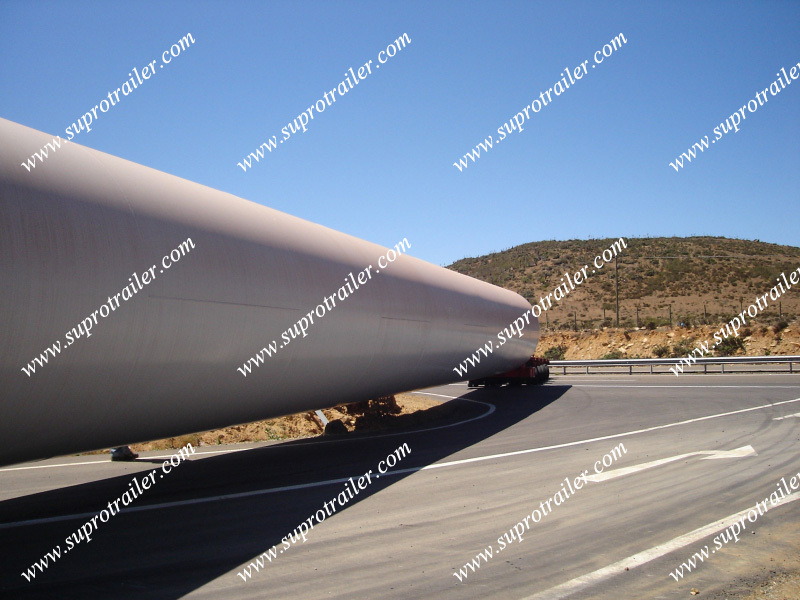 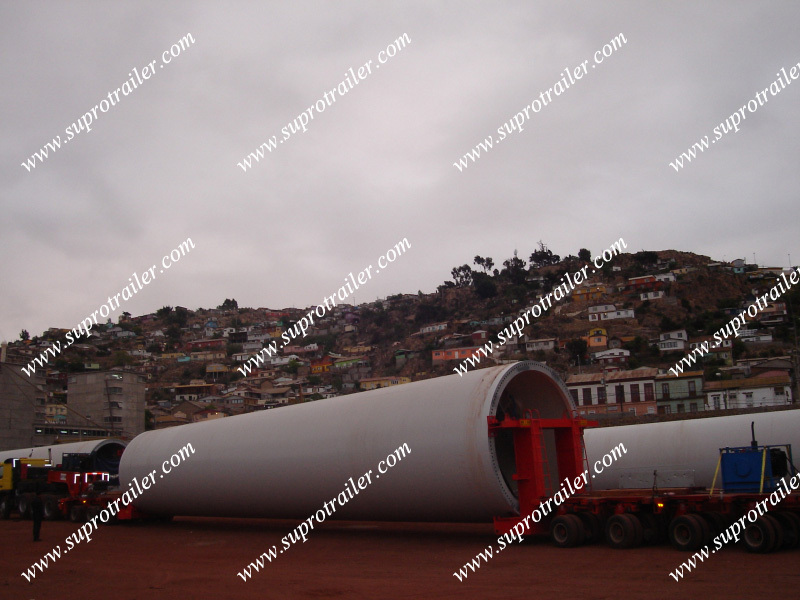 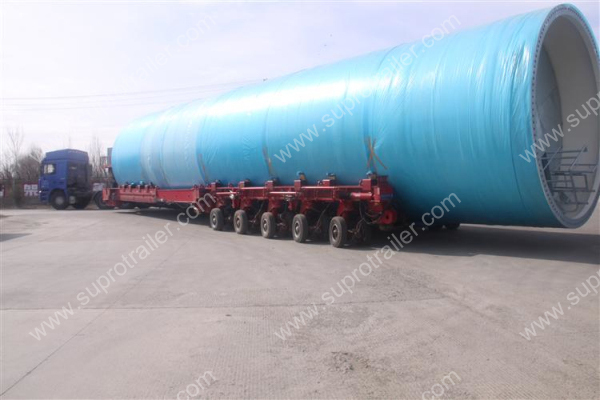 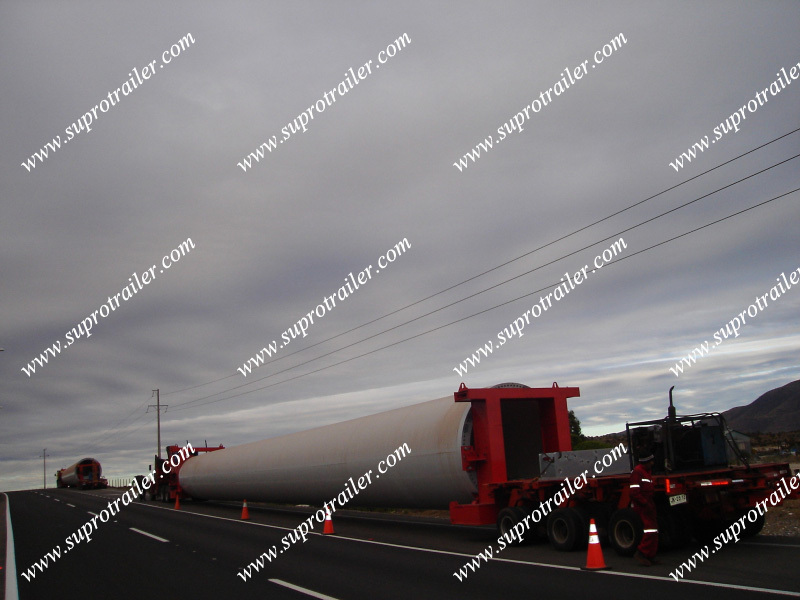 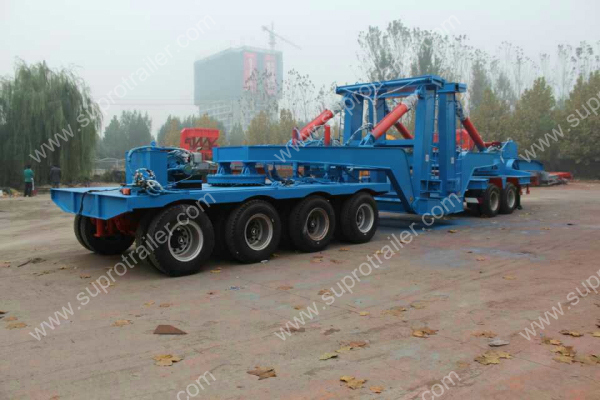 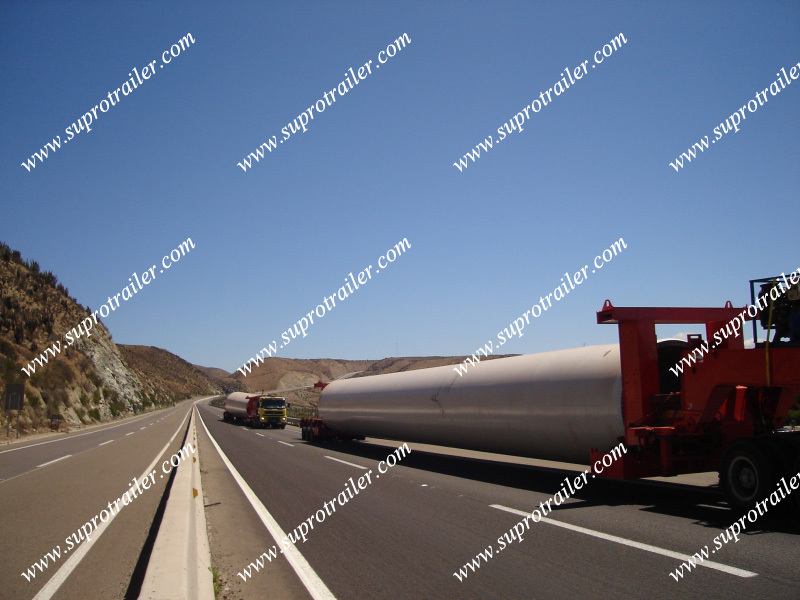 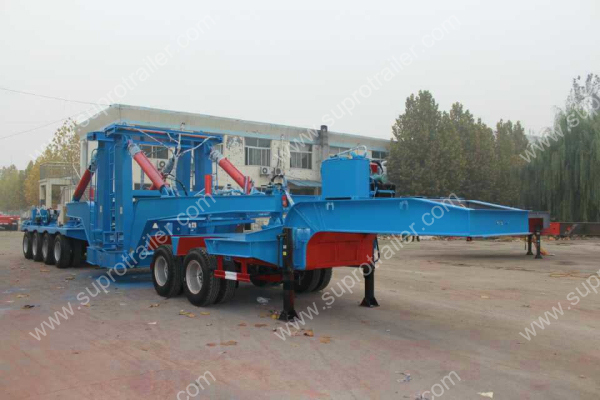 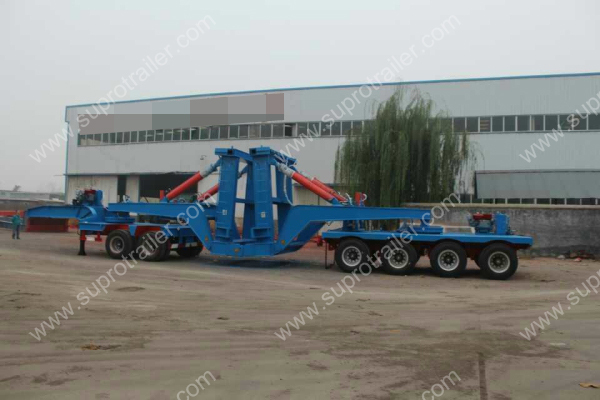 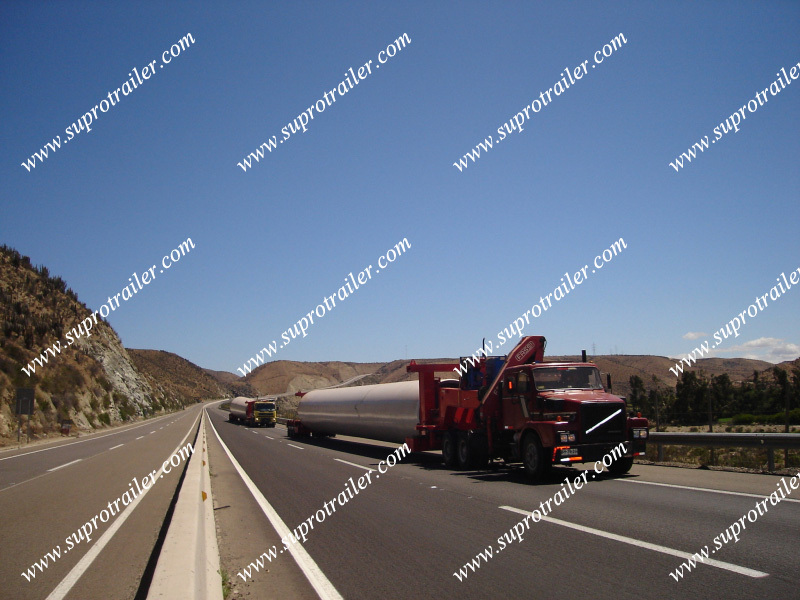 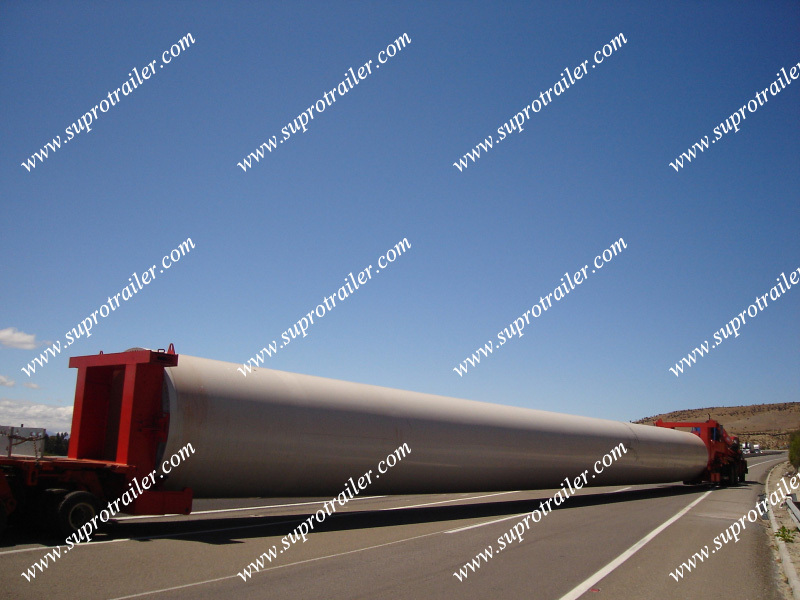 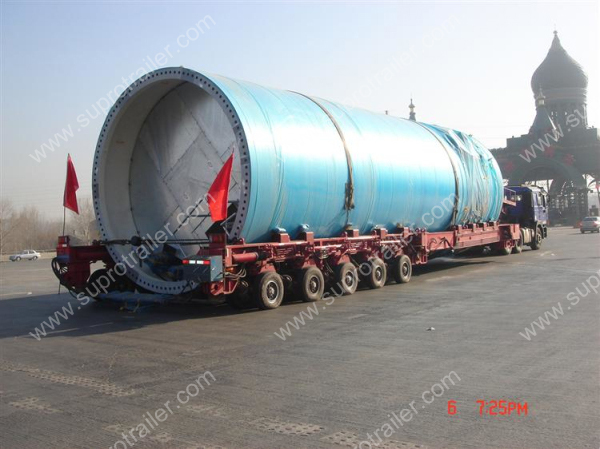 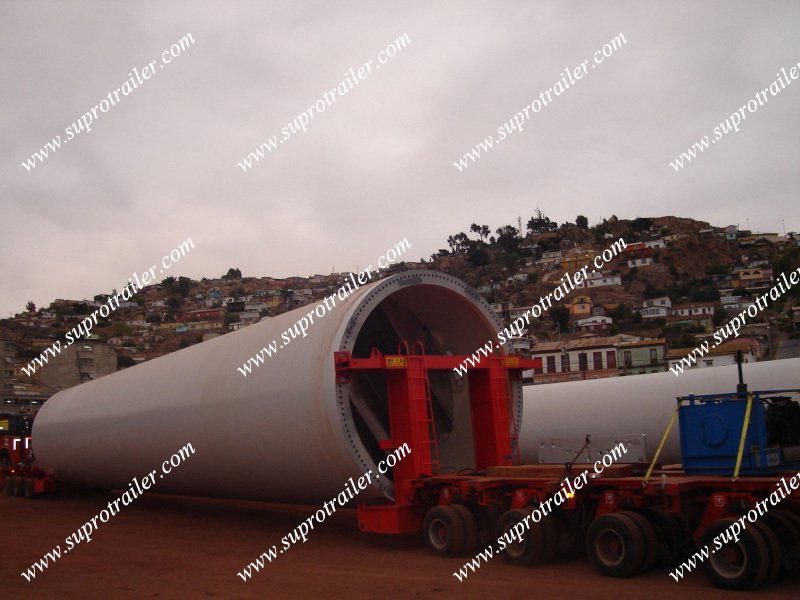 Supro Trailer produce "Extendable Flatbed Trailer" and "Windmill Blade Adapter" for wind blade transport. 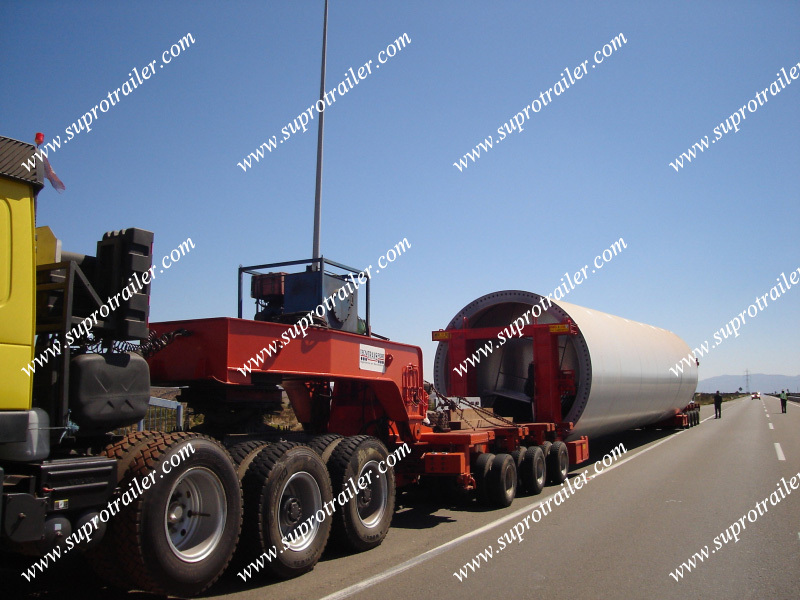 For the windmill tower transport. 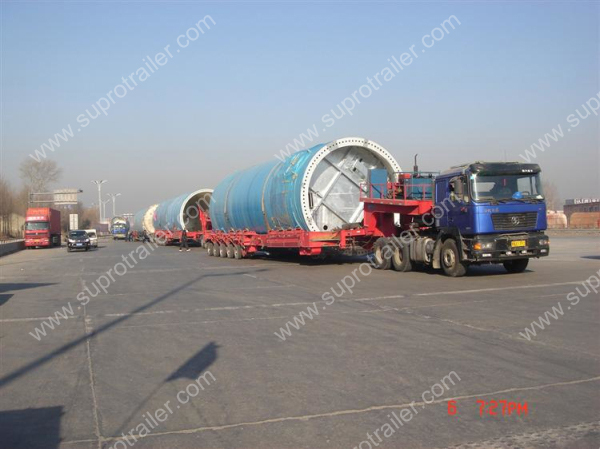 Supro traile produce Windmill tower adapter and Extendable tank cargo trailer. 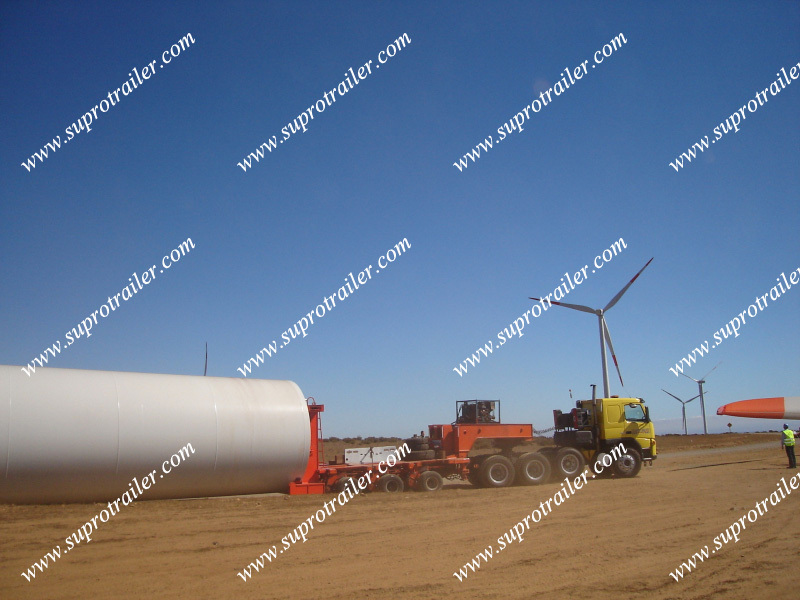 1.1 Windmill tower adapter combine with Hydraulic modular trailer. 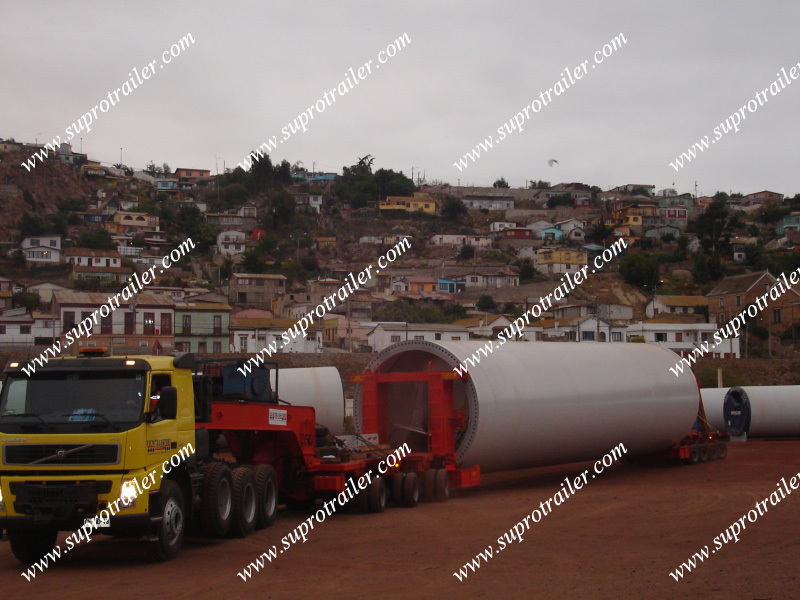 The adapter could combine with "Nicolas modular trailer", and "Goldhofer modular trailer". 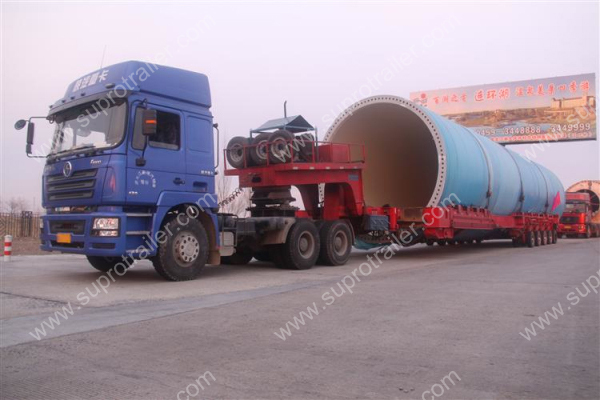 1.2 Supro design an adapter to combine with normal flatbed trailer. 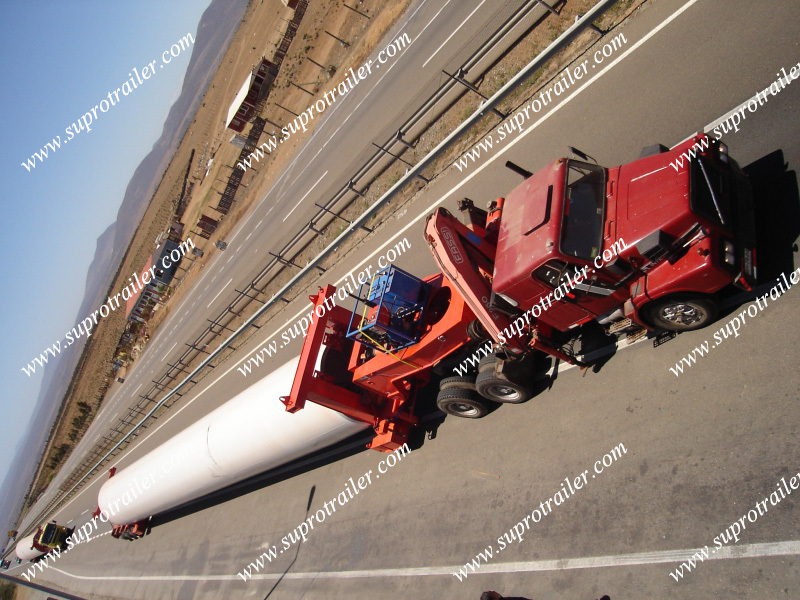 And the cost of the whole trailer is more cheaper than Hydraulic modular trailer- Windmill tower adapter.